It’s beginning to look a lot like Christmas… NOT! Okay, it was 75 degrees today. I live in Atlanta, y’all. We have winter. Now, it does not snow up to your whoo hoooo, but it gets cold. We wear jackets, and hats and gloves. Right now, my air conditioning is on!!! At least my nails are season appropriate!! Ohhhhhh! I love how this turned out! 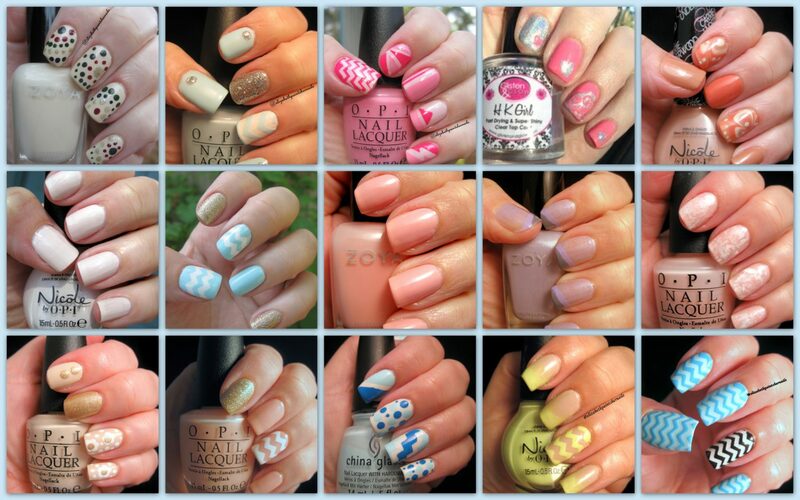 Now, I did not do one single plan or brainstorm about this manicure! So, of course it turned out fabulous! I started with Zoya’s PixieDust in Nyx. Can I just say the first PixieDust polishes are so lovely and classy, compared with the super chunky and lunky later PixieDust polishes? I am super glad I purchased nearly every single one of the first PixieDust polishes! 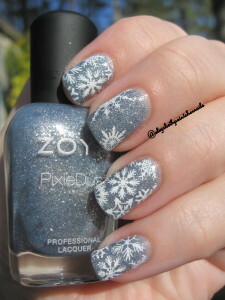 The next day, I added some snow flakes from my newest and most loved stamping plates by UberChic. I used the UberChic stamping plate Christmas-01 with Rica’s stamping polish in Whiteout. Do you like? I like!! I need to do a few more holiday type manicures!